Technology has the power to make your life easier and better. So, you should make the most of everything it has to offer you. You can save time, money and hassle by making some key changes to the way in which you use technology in the home. Here the top tech upgrades that you should consider making next. Memory Coffee Machine – Most of us like to drink our coffee a particular way. And if you have an unusual way of having your coffee, then it can take time to get it right. You can’t trust other people to make your coffee for you because you know that they’ll forget something and do it all wrong. If you purchase a new memory coffee machine, however, you’ll fix this problem. You can set it in a way that makes your coffee exactly how you like it. It will save you so much time and hassle in the morning when you’re desperate for that first hit of caffeine of the day. Fiber-Optic Broadband – There is nothing more frustrating than when your broadband keeps losing connection. We’ve all been there before. If the fault isn’t temporary, it might be time for you to upgrade to a faster form of broadband. The latest and fastest type of broadband is fiber-optic. It’s available to many people, so it’s definitely worth learning more about it at places like the Verizon homepage. If you can get it in your area, then it’s an upgrade that is definitely worth making. You won’t have those annoying experiences of slow loading times and videos that won’t buffer properly ever again. Smart Thermostats – Being able to set and programme your thermostat is not new. But those old models were difficult to use, and they didn’t really do what you wanted them to. This has all changed now though. Smart thermostats can be controlled by you. But they can also do a lot of things for themselves. For example, they can easily sense whether you’re in the home or not. And then based on this information, they can change the heating settings in the home. You can also set timers to make sure that the home starts to warm up just before you arrive home from work. It’s a real life-saver during the winter months. 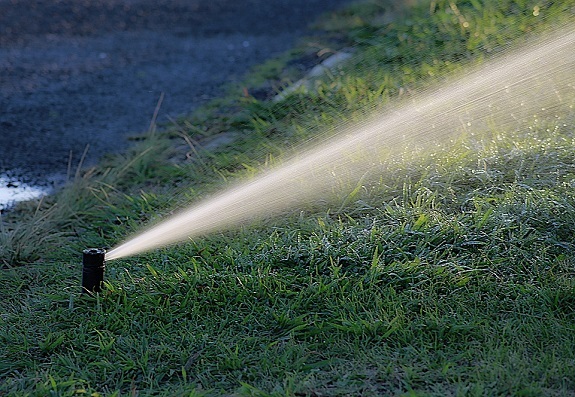 Remote Sprinkler Control – If you have a sprinkler system in your garden, then you will know that it can be a hassle to get it working. You have to turn it on and make sure that it is moved around to reach every area of your garden. But now you can get a system that is connected up to your phone. You can turn it on without even leaving your house. And you can even control its movements as well. It’s so much easier than the old ways of giving your garden the water it needs to stay fresh and healthy. These modern systems also waste a lot less water because you know that it’s all going to the right areas of the garden.